Loneliness is something that often accompanies old age. But there are things that you can do to help those that you love, like your parents, aunts, uncles and grandparents avoid feeling too lonely. We’ve enlisted the assistance of aged care student, Catherine Ruoso, to provide you with her best loneliness-busting tips. Loneliness is something that happens to us all from time to time. More often than not, it can strike people as they get older, because often aging goes hand-in-hand with loss. These age-related losses may include: hearing, sight, mobility, independence, friends, family, and even favourite pets. Loneliness comes with it’s own set of battles, and can result in your parent feeling bored, frustrated, agitated, depressed or even in some cases, aggressive and angry. Generally, all they really need to help pull themselves out of the shroud of loneliness is someone to talk to, some activities to engage them or a little bit of help around their house or apartment. Another big warning sign that loneliness may be about to strike your parent is the loss of a license or reduced driving privileges. Your parent may have spent over 60 years driving themselves around, and to lose this independence can be a huge blow to them. It can also keep them from seeing family and friends, and even from being able to do simple day-to-day activities like grocery shopping. If you think your parent may be lonely, or if you think they could be at risk, try the following strategies to help them ward off loneliness. Your parents would love you to call them, and it really isn’t that hard to pick up the phone even when we all have busy lives. You don’t need to spend hours on the phone, even a quick “hello” or “how are you” can really make their day. Your parents, like all people, have a social side that likes to connect and engage in conversation. Simply having a chat about what’s going on in their lives can make a huge difference to the tone of their day. As an aged care worker, I love to watch when an elderly person gets a phone call. Their face lights up. It also gives them something to talk about with their peers over a cup of tea later. If your parents cannot interact with family or friends face-to-face because they live in another country or state, teach them how to use Skype so they can make face-to-face video calls. You may also want to teach them how to use email so they can write and receive emails. Introducing them to social media sites like Facebook is also a great way to keep them plugged in to their family and friends’ everyday lives and gives them something visually interesting to engage with. This is a big one: visiting your parent with a warm smile and a big hug can do wonders for their feelings and can really brighten their whole week. Plan to drop in once a week, or once a fortnight, even if it’s just on your way home from work or with the kids on the weekend. If visiting is not an option due to distance, make arrangements for another family member or a friend to drop in on them regularly. 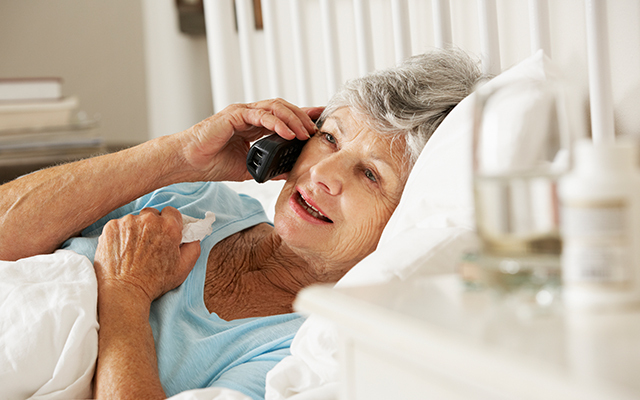 Life can get in the way sometimes, and if you find yourself in a position where you have made arrangements to visit your parent, but something has come up, make sure you call them to tell them you can’t make it. There is nothing worse than seeing someone upset because a family member didn’t visit when they said they would. 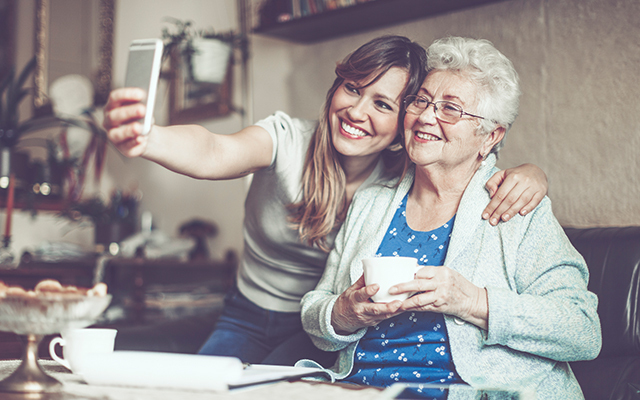 Your loved one may sometimes need some encouragement to participate in social activities, especially if their needs and levels of personal or emotional assistance have changed since they have gotten older. 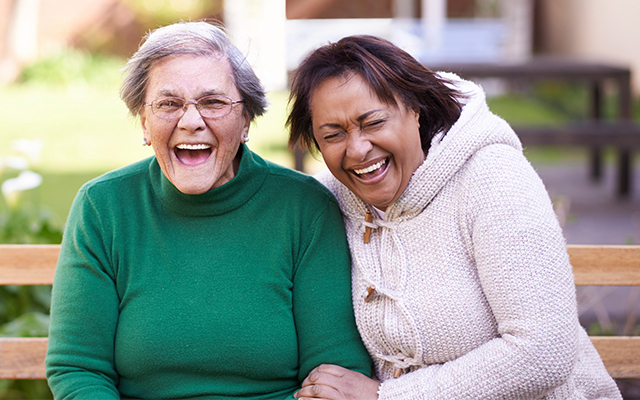 If at all possible, find a seniors’ club or social activity that they can visit locally. If they cannot make their way to the club or activity themselves, see if you can arrange some community transport. Alternatively, pick an activity that they can do on a day where you are available to chauffeur them. The social activity can be anything from a men’s shed group, to a drawing class, a community club, bowls, or even just a catch up for a cup of tea with friends. 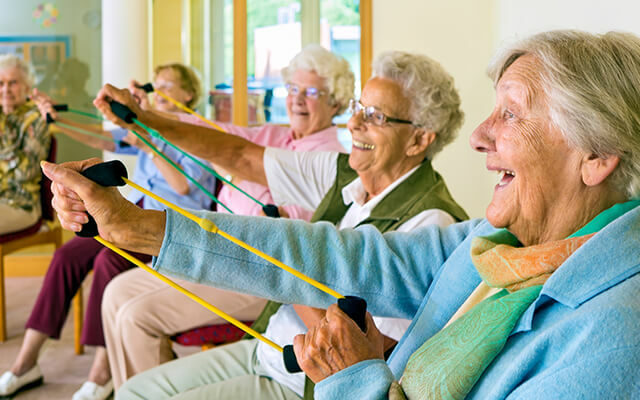 Community clubs may even host days where seniors can go on particular outings, and your parent or loved one may enjoy the social aspect of this type of group for some fun as well as a change of scenery. Most clubs also offer a range of activities, ensuring that there is something for everyone. Regularly attending a community club may boost your their self esteem and sense of belonging as it enables them to get out and about, and enjoy a social life. Meanwhile, if they like attending cultural events or religious ceremonies you could also Google to see if there are any going on in their local area. These events can also be a great way to keep your parent engaged in their community while at the same time supporting their cultural identity. 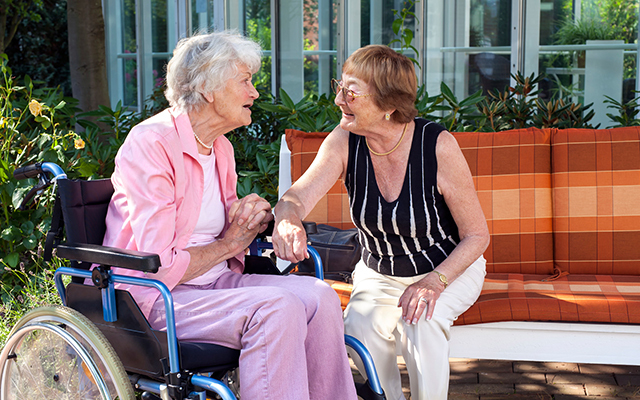 If your older family member lives at home but needs a bit of extra help around the house, or with meal preparation, or even some assistance with personal care like showering, then you may want to organise a professional aged care worker to visit them on a daily, bi-weekly or weekly basis. You may also want to organise Meals on Wheels to drop some pre-prepared meals off to your them so that they get a break from cooking and still enjoy nutritious food. 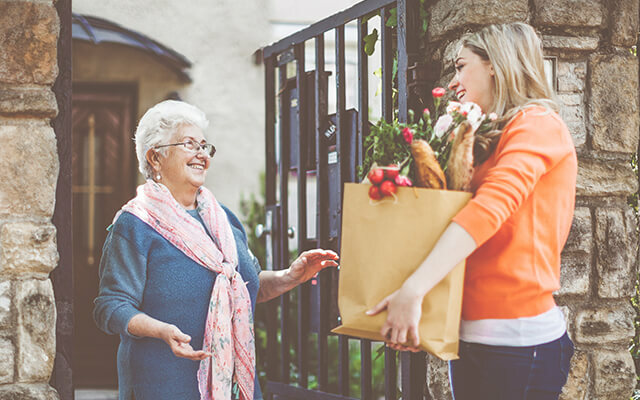 Visits from aged care workers, as well as cleaners and even Meals on Wheels volunteers can give them something to look forward to, and can have a positive effect on their mood and outlook. If your loved one is no longer able to do as much on their own as they used to do, then have a think about what things they may need assistance with. Food? Cleaning? Personal care? Transport? Socialising? Write a list and have a chat to them about ways you can help them to meet these needs. Be prepared for negotiations with them, as often they may say no to any additional help because they feel that they “should” be able to still do these things for themselves, or they might have a bit of shame about their loss of independence. In my role as a carer I have often found that different people react differently to changes in their lifestyle and surroundings. What works for one, may not work for another. So make sure that whatever assistance or social activities you sign your parent up for actually suit them and that they are happy with the arrangement. You should also be on the lookout for emotional and physical changes in your loved one as they age. These negative changes can be subtle, but if you catch them in the early stages, you can do a lot to improve your family member’s quality of life. Finally, my best advice is to talk to your parent or older family member. Even if it’s just for 5 – 10 minutes a day. A simple chat may be nothing to you, but it can make someone feel loved and valued and it doesn’t cost you anything at all. You may also find that you become really interested in the stories, wisdom and life history they tell you. You never know what amazing things you could learn! Do you want a career where you get to make a real difference in people’s lives? If so, then a job in aged care may be perfect for you. Study online, when you want, where you want, and get the qualification you need to launch your aged care career!